Based on the World Health Organization (WHO) estimates, 68,000 cases of JE occur annually, with 3 billion people living in 24 South-East Asian and Western Pacific regions at risk for transmission of the virus, including the Philippines. 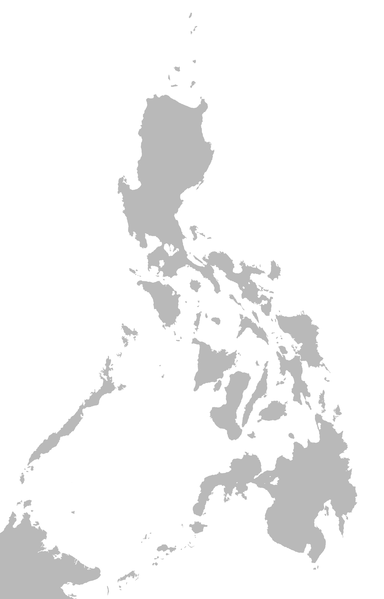 The Japanese encephalitis virus (JEV) was first reported in the Philippines in 1943 and since then, the Philippines has been recognized as a country where the virus normally circulates. There has been a lot of news surrounding Japanese encephalitis (JE) in the Philippines recently, causing a surge in requests for the JE vaccine. This week, the Philippine Pediatric Society (PPS) and Pediatric Infectious Disease Society (PIDSP) released a Position Paper on Japanese Encephalitis Vaccines and here are some excerpts. JE is considered a significant public health threat. Since JE is a zoonotic disease, it can never be eradicated. There is little evidence to support effectiveness in disease reduction by approaches such as vaccination of pigs, or environmental (e.g. mosquito nets) and chemical control of vectors. These methods cannot be relied on to reduce disease incidence, and should not divert efforts from childhood JE vaccination programs. The best evidence to support a reduction in JE disease burden points to vaccination of humans. Disease control relies on individual protection because there is no herd immunity with JE. Elimination of clinical disease is possible through vaccination of populations at risk. In fact, the integration of JE vaccine into the immunization programs of Japan, South Korea, Taiwan and Thailand has led to the near elimination of disease in these countries. They summarize by saying The Philippine Pediatric Society (PPS) and the Pediatric Infectious Disease Society of the Philippines (PIDSP) recognize that Japanese encephalitis is an important public health problem in the Philippines. Although relatively few cases are reported, the severity of the disease, its high case-fatality rates and the complications of JE present a significant burden to the community. JE vaccination has been incorporated in the recommendations for childhood immunization by the PPS/PIDSP/PFV since 2016. In recent months there have been increased demand for the vaccine due to alleged increase in the number of JE cases. 1. JE is a reportable disease and surveillance must be sustained; healthcare providers from public and private sectors must actively participate in the government’s efforts to accurately monitor JE disease in the Philippines. 2. Health care providers and public health authorities must remain the most reliable sources of information; they are enjoined to actively communicate relevant evidence-based data and interpret these for the public to avoid undue panic and to advise on the most appropriate measures to take. Any effort by the lay public in communicating about JE disease and prevention should ensure that the references used are reputable and based on real scientific medicine. 3. Prevention methods such as mosquito vector control, personal protective measures (mosquito repellents, bed nets), and others, may be used but must not deter individuals from seeking JE vaccination, which is the only method proven highly effective for prevention. 4. JE Vaccination continues to be recommended for children ≥9 months of age as part of their immunization schedule. In times of scarce supply, priority should be given to those most at risk, i.e. children <15 years of age and those living in high risk areas. The use of currently available JE vaccines should follow the manufacturer’s recommendations. Because the phillipinos aren’t damaged enough….funny how all vaccines for years now have seemed like a planned “reaction” to a dubious “cause”, but since bioterrorists are zoonotic, we will never get rid of them….